“We have two ears and one mouth so we can listen twice as much as we speak” – is a famous quote by Greek Philosopher Epictetus (and used often by my mother). It is good advice. But sometimes technology, people, and environments make it hard to hear. At Zoom, our audio engineers are always working to make your experience as crystal clear as possible. And clearly it’s working – Zoom’s VoIP is used 6x more than telephony on Zoom which results in more productive meetings and superior cost savings. Zoom’s audio is superior for many reasons, among them is our new noise cancellation feature. Zoom detects and suppresses background noises. One of the most common noise distractions is keyboard typing. 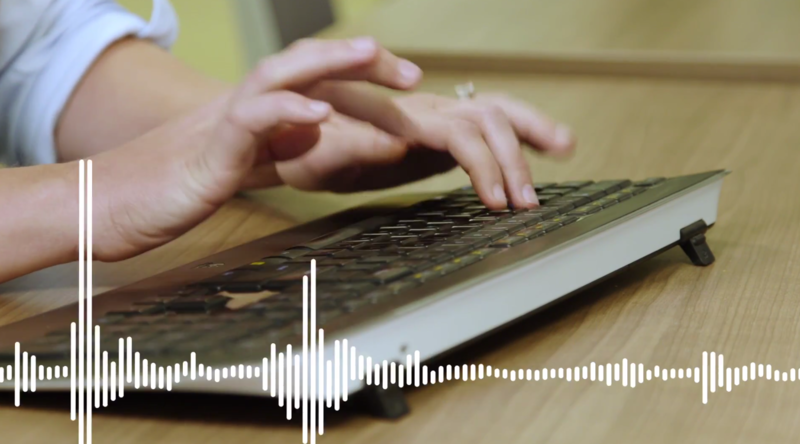 Zoom detects the sound of keystrokes, removes that sound, and then automatically adjusts the speaker’s audio back to the optimal volume for speaking when they start talking. You’ll no longer hear loud typers or other annoying background distractions. There is no need to enable this feature; it was switched on in our last product release. However don’t just take our word for it. On technology review site G2Crowd, Zoom rates higher in audio call quality than our competitors. Are you ready for a superior audio experience? Sign up for a 1-on-1 demo with a Zoom product specialist to learn more about Zoom audio, and all of our other amazing features today!